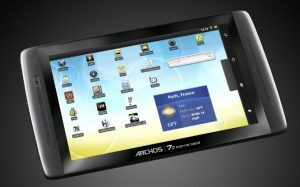 At $199 Archos unveiled an Android Honeycomb 3.2 tablet. The new Archos 70b that is outfitted with Android Honeycomb 3.2 is expected to reach users all over the world in January, except the holidays but it is going to serve some competition to costly tablets. The 7-inch 70b Android Honeycomb tablet, the advanced version of the Archos 70 IT Gen 8 tablet, has a multitouch screen with a higher-resolution 1024×600 pixel and much more powerful ARM Cortex A8 1.2 GHz processor. The new tablet fitted out with a 3D graphics accelerator and it has 512 megabytes doubled RAM. The internal storage of the Archos 70b tablet is only 8GB, but the microSD slot can load cards up to 23GB. It also offers a Mini-HDMI port that gives the opportunity to users to hook the tablet up to a TV. Its Bluetooth 2.1 and Wi-Fi 802.11 b/g/n are thrown in for wireless access. The Archos tablet includes a number of apps, such as YouTube, Google Talk video chat, Google Maps with Street View and Google Calendar and supplies access to Google’s Android Market. Priced at $199 Archos 70b tablet could appear tempting to consumers in a market of 7-inch Android tablets with a range of $299 and $399 prices. 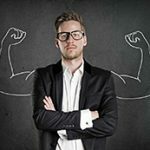 A front Webcam is a great new feature that can also attract buyers. But it`s still has a rival, Amazon’s Kindle Fire, which came to a market with a blazing start. The project can be compact!